If you’re the type of person who spends a lot of time outdoors, you will come to appreciate the value of a tough timepiece that can endure all sorts of abuse and the harshest conditions. 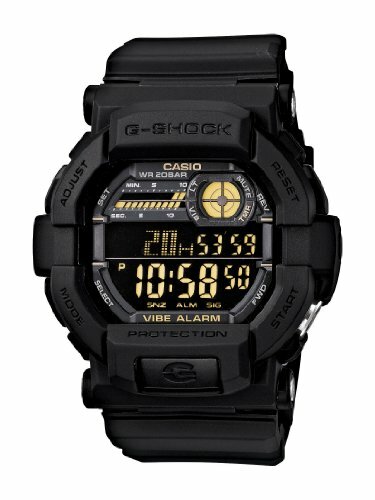 The Casio G-Shock watches are world-renowned for their toughness and reliability. This is why G-Shock watches are favored by law enforcement and army personnel all over the world. Today, we’ve created a buying guide for the best G-Shock watch for military purposes. Rest assured, the following watches will meet the needs of any military personnel out in the field. Found Your Next Military Watch Yet? 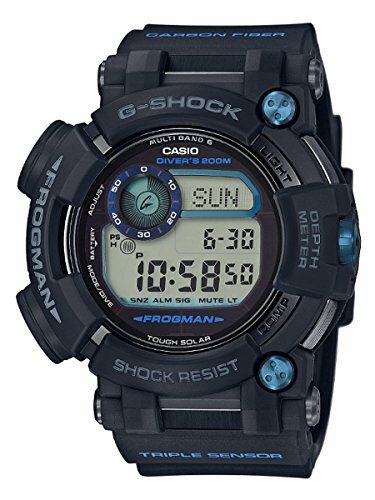 The Casio GW-9400 Rangeman G-Shock Solar Atomic Watch is perhaps the most popular model in Casio’s Master of G series, and for good reason. It’s an excellent, tough survival watch and is available for a good price. The Rangeman is a tough and rugged timepiece that can handle just about anything you throw at it. The Rangeman’s popularity can be attributed to the Triple Sensor feature which is basically a trio of features: compass, thermometer, and altimeter-barometer. If you’re the outdoors type of person, the Rangeman could be your next companion for your upcoming adventures. The watch features an aggressively bulky appearance which is just about right for a tool that offers superior shock protection and durability. The Rangeman is also highly resistant to dust and mud with a protected button layout. So even if the going gets tough, you can still easily access all the functions of the watch. It’s also water resistant to 660 feet (200 M). The watch is also solar-powered which means that you don’t have to worry about replacing the batteries ever. It’s basically a watch that you can just wear and forget. The Casio GW-9400 Rangeman G-Shock is an all-around winner in my book which is why it’s our top pick. As you can see from its name, the Casio G-SHOCK GA 100-1A1 Military Series Watch is a military-grade timepiece that’s designed for the toughest conditions and most challenging activities. 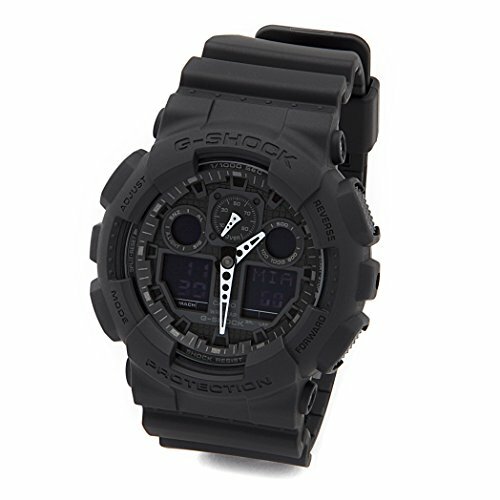 The GA 100-1A1 is a really good-looking watch with its all-black color scheme. Although it’s designed for military and tactical purposes, it is tough and packs enough features to be used as a reliable outdoor watch. What makes this watch stand out from the rest of the watches from this list is the analog display. Many customers have concerns with regards to the legibility of the watch and they do make a fair point. In very dark lighting conditions, reading the watch can be hard. It does come with a handy LED lighting that illuminates the top portion of the watch. For me, this is the way to go since it highlights enough that you can catch the time with a quick glance. This is supposed to be a stealth watch so it doesn’t have that in-your-face illumination. The watch does come with numerous timekeeping features such as world time, daily alarms, hourly time signal, stopwatch, countdown, and many others. The watch also offers a respectable water resistance of up to 200 meters. The GA 100-1A1 is the best G-Shock for military if you’re looking for an analog model. 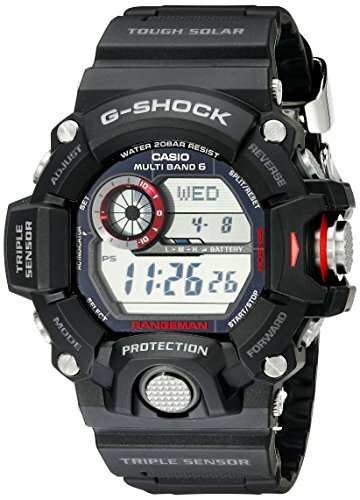 The Casio G-SHOCK GD 350 Watch is another unique model in this roundup due to its negative display. If you are looking for a military watch with negative display, this watch is definitely worth the look. The Casio G-SHOCK GD 350 is a timepiece that’s designed for precision. It offers the usual timekeeping features that you can expect from a G-Shock model. World time, daylight saving, 12/24 hour formats, full auto calendar, 1/100 second stopwatch, countdown timer – there’s clearly no shortage of timekeeping features here. The vibrating alarm is definitely the key feature here. It’s not the strongest vibrating alarm watch but it should work for most people unless you are really a heavy sleeper. Unlike the traditional alarm clock, the vibration is not unsettling at all. Setting and toggling the alarm is a breeze as well. The negative display is also another key feature. At first, I was concerned with its readability but once I had it, I was impressed. The black background with yellow-colored numerals provides a pleasing contrast. It also helps that the display is sharp and crisp. Build quality is standard fare for a G-Shock unit. It features a big window and a solid resin case. It feels comfortable and sits just right on my wrist. 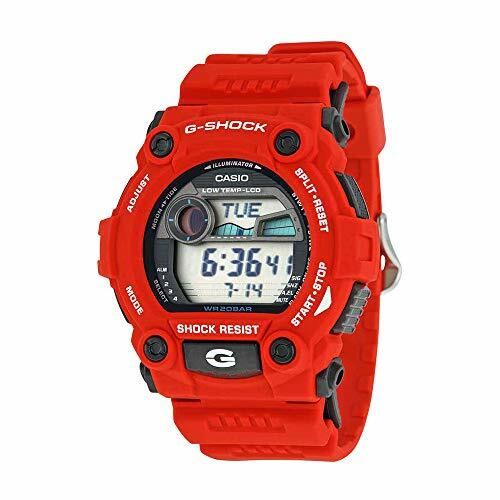 It’s another stellar G-Shock that comes at a great price. 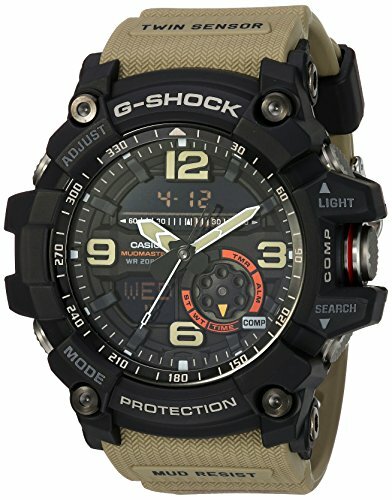 The Casio G-Shock GG-1000-1A5CR is one of the newest additions to the popular Master of G Mudmaster line. As you might expect, this isn’t just a timekeeping tool but a highly-functional gadget that will serve you well in the harshest conditions. The GG-1000-1A5CR boasts the Mud Resist construction which means that there’s no mud or dust that will get inside your watch. This is, of course, a good thing if you’re planning to use the watch for military or outdoor purposes. The specialized construction also helps in protecting the buttons from impacts and shocks. Aside from its exceptional toughness and resistant to elements, the watch also comes with a healthy number of features. The thermometer and digital compass are key features for outdoor enthusiasts. Water resistance clocks in at standard 200m (660ft) which means that you can it for most marine training and water sports but not for diving. This new Mudman is also an analog model with digital displays for the date and day. However, I have some issues with the readability of the watch. Unlike the previous model in the list, the negative display worked against the GG-1000-1A5CR and it made the watch harder to read during low-light conditions. Despite the readability issues, this is the best G-Shock watch for military and tactical purposes, as far as Mudmasters go. The Frogman is one of the most revered series of G-Shocks, and for good reason. The Casio G-Shock Master of G FROGMAN GWFD1000B-1 is not exactly cheap but it’s a premium diving watch that would serve any military personnel well. The GWFD1000B-1 is perhaps the most expensive watch on this list but don’t let that discourage you. This Frogman is one of the best diving watches that you can find in the market. It features a stainless steel inner case with a screw-lock case which is what you want for a diving watch. The watch is ISO (6425) Diver compliant which essentially says that it offers superior reliability underwater and has passed all sorts of tests like condensation and thermal tests. It’s also powered by the high-end Tough Solar technology which means that your watch will work even with a weak light source. On top of that, the watch also has a compass, water depth meter, and a thermometer, making it a fairly versatile all-conditions tool. It’s a premium watch through and through. It’s expensive but it certainly offers great value. The Casio G-Shock Rescue Series G7900 is not exactly a watch with military specs but it’s more than suited for all-action situations. Casio has done a good job of creating a heavy-duty watch but stylish watch. The bright red color might not be for everyone but it’s certainly a watch that commands attention. The screaming red color is likely intended for workers that deal with emergencies. The G7900 is exactly what you can expect from a watch that’s used for emergencies. Like with most G-Shocks, the durability of this unit is simply on-point. I’ve lost count of the times I’ve bumped it but there’s really no noticeable damage of sorts. The low temp LCD makes for a very readable watch regardless of the lighting condition. This wraps up our list of the best G-Shock watch for military applications. For a military watch, toughness is the name of the game. With these selections, you’re bound to find a great watch for your military or tactical needs.